Last week I got back from a two month journey to & from Europe, that included many (probably too many!) stops where I combined looking for bead and information about old beads, and general sightseeing and visiting friends. 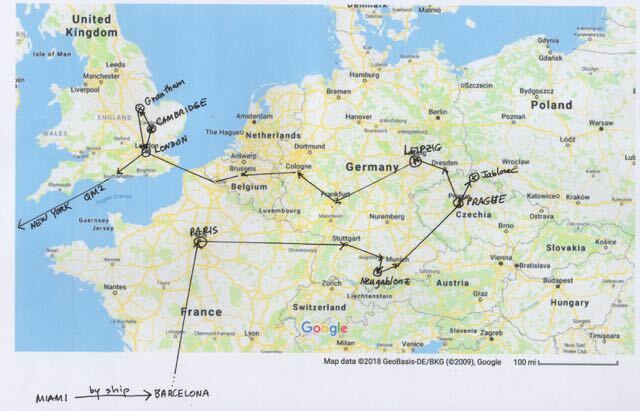 I went by ship from Miami to Barcelona, then onwards to Paris, Neugablonz, Prague, Jablonec, back to Prague, Leipzig, Cambridge, Grantham, London, then back to NYC via the Queen Mary 2. I'll be posting images from the trip over the next few days. It takes some time to go through photos and prepare them for upload, as you all well know!